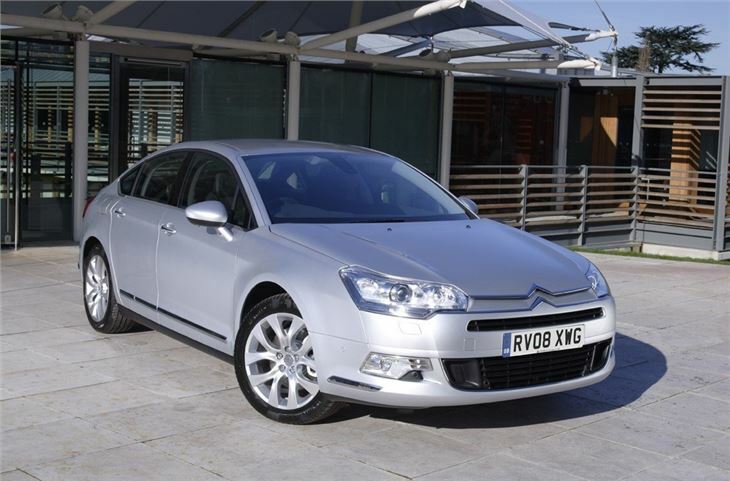 Very comfortable, fantastic all-speed refinement, lots of interior space, well equipped from mid-range upwards. Terminally uninteresting, dynamically soggy, patchy interior quality, confusing dashboard, no hatchback option. 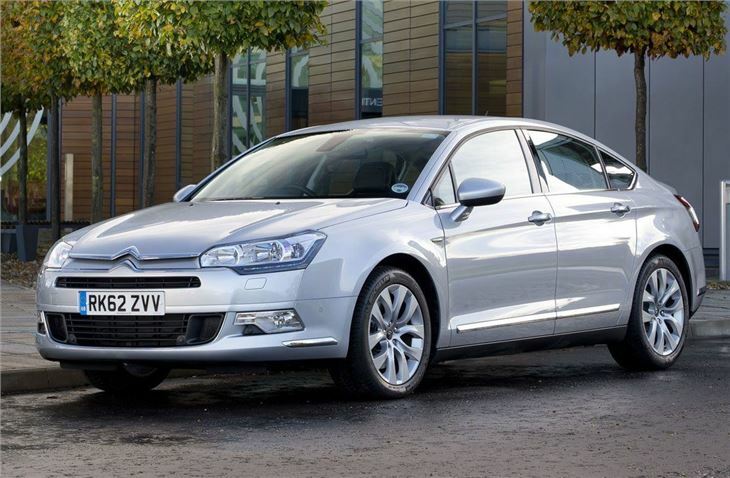 Before Citroen stumbled upon a new way of making its cars interesting in the form of bubbly plastic side panels, the C5 was typical of its approach. Comfy, spacious, and slightly baffling. 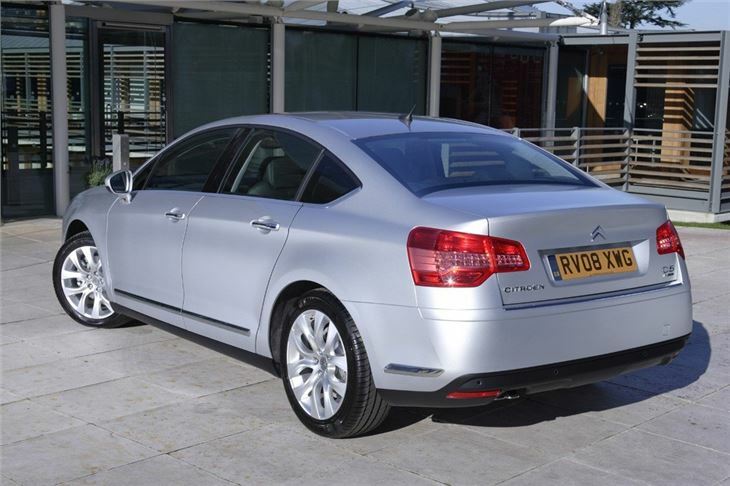 This second generation model, launched in 2007, is at least more interesting than original C5, which appeared to have been styled by stretching out a Citroen Xantia with a giant rolling pin. Indeed, this C5’s exterior look is a strong point, with its sharp-yet-slightly-bulbous styling sitting nicely on the fine line between challenging and handsome. 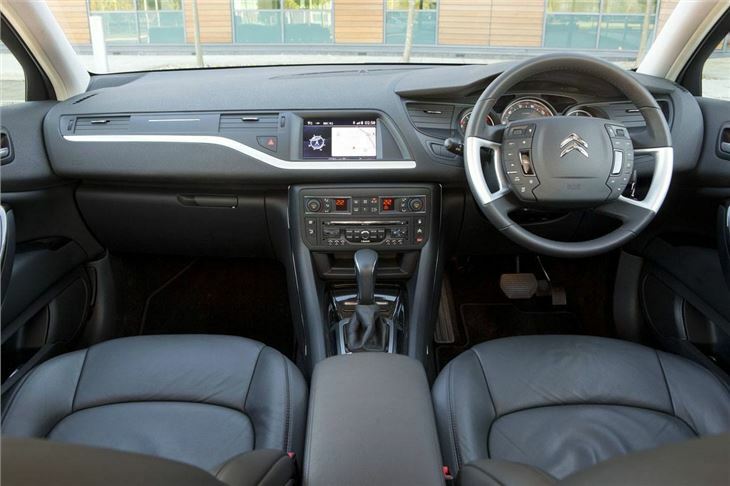 In the cabin it’s not so successful however, with a dashboard typical of Citroen’s often confusing approach to layout. There are buttons, dials, switches and displays of various shapes, sizes and colours all over the place. Even the steering wheel is a novelty itself, with a fixed central boss and a rim design that bizarrely seems to encourage ‘eight and four o’clock’ hand placement. In market that often trades outright comfort for a sense of ‘sportiness’, the C5 unashamedly does nothing of the sort. It’s as softly sprung and quiet as many a luxury car. If you weren’t staring at two static chevrons on the steering wheel, you’d swear you were in something a lot more expensive and infinitely more German. That means that while it’s not the most engaging car to drive – positively lacklustre at any sort of pace, in fact – it’s probably the most comfortable car in its price bracket to tackle a long motorway run with. Towards the end of its life the C5 became well equipped across the range, with all models getting air conditioning, cruise control, electric windows all round, electric mirrors and Isofix for child seats. 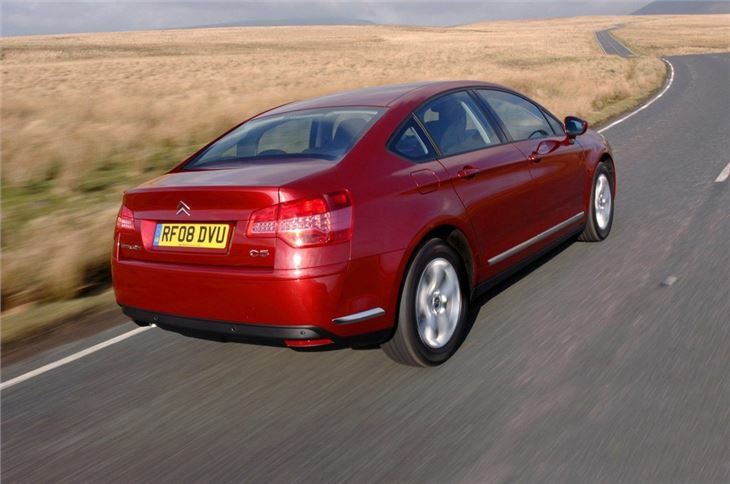 It wasn’t always the case though, with Citroen progressively adding more specification in mid-level cars in a bid to make the ageing C5 more attractive. The base spec SX car comes wth plastic wheel trims, which in this class is shameful. 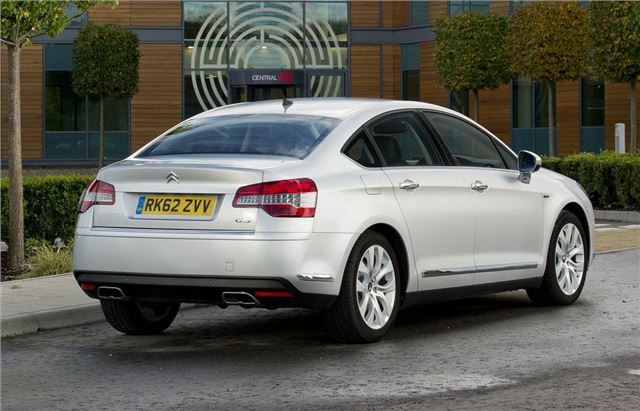 VTR and VTR+ add alloy wheels, sports seats, front fog lights and fancier interior trim, while the Exclusive specification throws everything at it, including navigation, part-leather upholstery, parking sensors and electric seats. 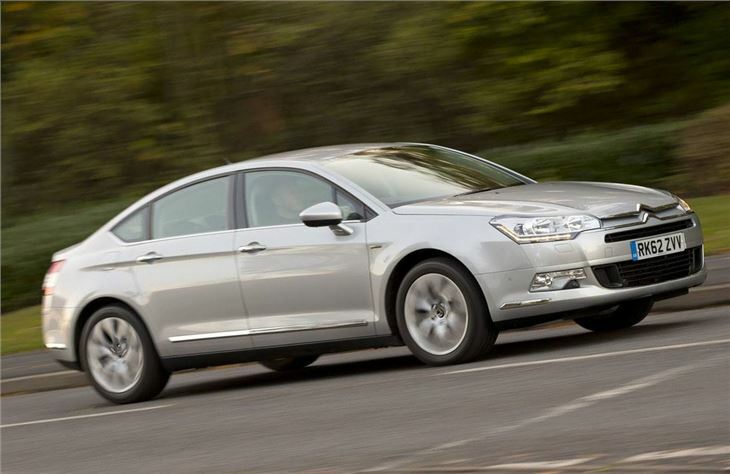 Comfortable, quiet, economic, cheap £30 road tax, what more can I say?